We’ve all heard the horror stories about angry, disgruntled clients from our peers in the art world (or worse, been there ourselves). But, you are running a full-fledged art business and problems are bound to arise. Take a breath. Sometimes a commission won’t be finished on time, a piece accidentally gets damaged in the mail, or a customer is having a bad day. 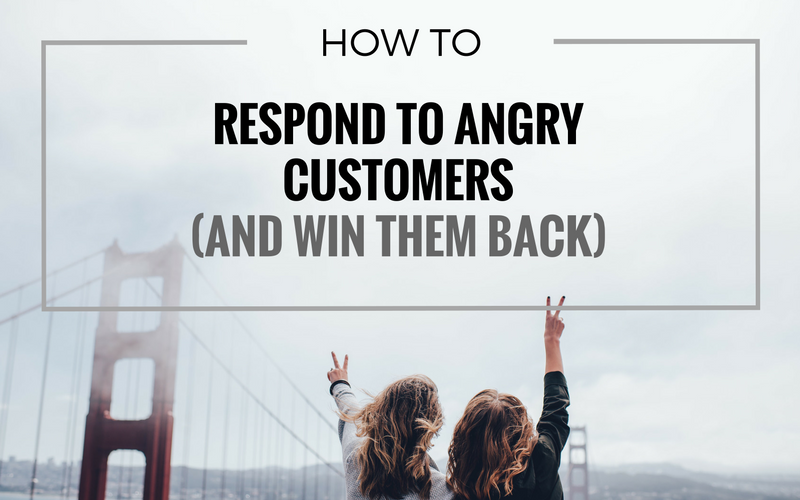 So when it happens to you—and it inevitably will—it’s important to handle angry clients the right way so you don’t lose their business. 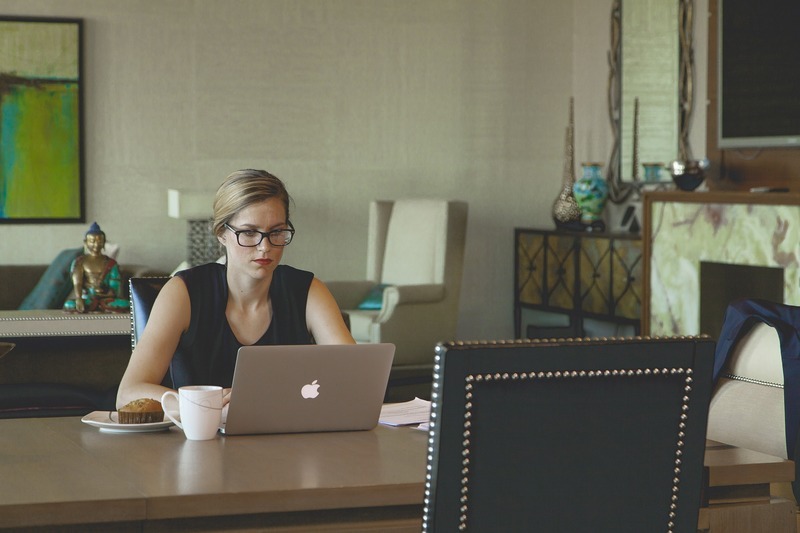 To learn what you need to do, check out these six steps to keep the peace and win back your art customers. Now, this is step number one for a reason. Even if you have to muster the very last ounce of restraint you have left, you must avoid becoming defensive and angry yourself—trust us. That split second of vengeful happiness it brings does absolutely nothing to fix the situation, and you will lose both your customer and his or her patronage. Instead, understand that your buyer feels upset and that it’s up to you to remedy the situation. When speaking with your irritated client, deliberately try to use his or her name offers The Muse. Why? Because friends and family call you by your name. Customers will connect with you on a more personal level—which makes it harder to stay upset with you—and it also humanizes them to you, making it a lot easier to stay calm. Ask them to explain the problem to you, and here’s the important part … really listen to what they are saying. Be attentive, and try to decipher what they are actually upset about. Don’t try to interject right away, but let them fully explain the issues that are upsetting them. Then when they are all finished, summarize what you understand the problem to be and ask questions to ensure that you understand the problem. Because you can’t win your art customers back if you jump at a solution that doesn’t actually fix the problem. Next, tell your buyer in distress that you know how she or he must be feeling and apologize for the situation. Because we’ve all been upset customers at one point, and it’s the people who apologized and valued your concerns that made you feel better about doing business with them again. It’s time to right the wrongs. Do what you can to offer a solution you can both agree on, keeping in mind that you want your customer to leave happy and ready to buy art from you again. Whether you need to make changes to a commission, provide a discount on a late piece, or resend a print that got damaged while shipping (always be sure to get insurance on shipments to cover the costs), place the fix at the very top of your to-do list. Taking immediate action will reveal that you care about their concerns and that you are running a professional art business. Also, identify how the problem even happened to your art customer in the first place so you can find a way to keep this same problem from popping up again. Following up can make the difference between winning your clients back and losing them forever. And, it never hurts to make sure they are satisfied with the resolution. Going above and beyond to send a handwritten note of apology or a small discount on your next piece not only shows that you care but gives you a better chance of making future art sales. Dealing with angry customers is never fun. But, it’s important to do it the right way. Otherwise, you’ll lose future art sales and potentially have bad reviews spread about your art business. Taking care of your customers and focusing on a swift resolution will help get your art business back on track. What would you create with an extra day each week?